Deal Check lets you create effective offers and counter‑offers that make sound financial sense. 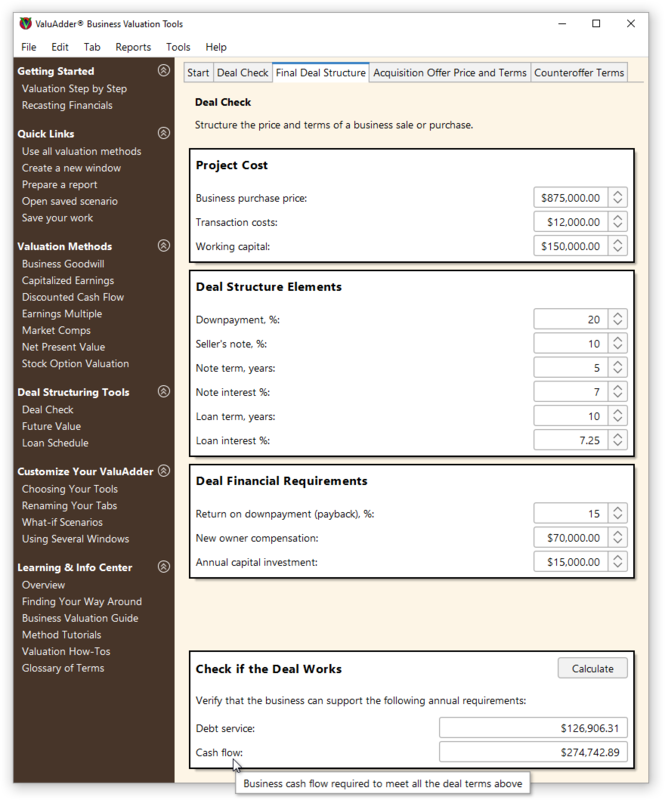 Adjust the terms, and Deal Check instantly shows you the business cash flow required to make the deal work. Save time by focusing on viable deal structures. Check the validity of your business valuation results. How does Deal Check help?